after just 3k spend. That’s the biggest ever for this card. 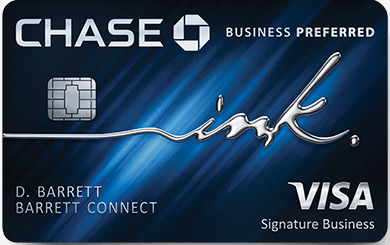 So per the terms above, you can get this card even if you’ve had a different American Express Platinum card, but excluded if you’ve ever had this specific product. If you aren’t familiar with the varying products definition: Credit card companies issue different types of cards even if they may carry similar looks and names. For instance, The American Express Platinum card, The American Express Platinum card for Mercedes Benz, Ameriprise American Express Platinum card, The American Express Business Platinum card, etc. All of these are technically different products, and therefore don’t count against your “Once in a lifetime” new member sign up bonus when applying for them individually. Of course, YMMV, but most people have not had problems receiving the bonus when applying for different products. If you’re thinking of buying one. Ask to use this credit card. If they say no, tell the dealer you’ll pay the processing fee. On a $30,000 car you’ll pay several hundred bucks in processing fees but earn another 150,000 points. Totally worth it IMO. At just $0.02 you’re earning $3,000 back. Way more when redeemed for international air travel. The biggest, by far, are the transfer partners. The transfer partners are so crucial in making these points unbelievably valuable. Above, I had them valued at roughly $0.02. I tend to get value more in the 5-10 cent range. These values come from long haul international business/first class travel In fact, Amex points are how I flew last year from San Francisco to London on Virgin Atlantic by transferring to Delta, and how I got back from Japan on American Airlines First Class by shoring up my British Airways account when Amex had a 40% transfer bonus. Previous Article The 2015 Around the World Mega Trip Report: High Teas, World’s Tallest, Safari, Vic Falls, Jiro’s sushi all in Business and First Class.